Open This PC ‘My Computer”. Right click on Drive C: and click properties. You will see the dialog box similar to the image second on the right. We suggest you select all items. 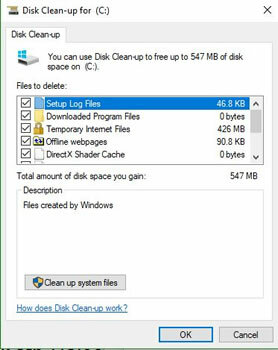 downloaded files and empties your recycle bin. I recommend running maintenance on each hard drive, including USB backup drives. Once this has completed click the 'Tools' tab at the top of the dialog box. 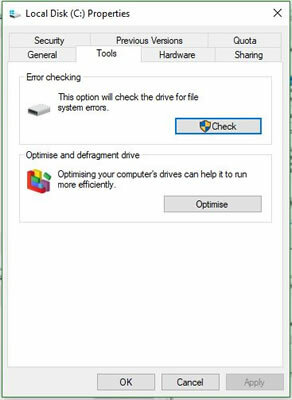 The top option is Check, click check now, it might say you don't need to scan this drive but I suggest you do anyway. Second Right showing progress of the scan. The Last Job is to run the Analyse / Optimization “Defrag tool”. access that little bit faster. 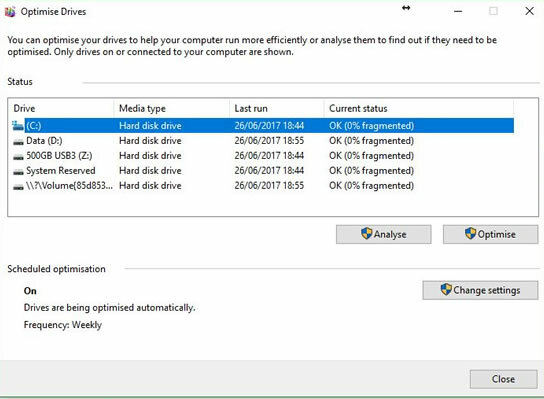 Click Optimize, select all drives You have the option to click the Analyse button to see if you hard disk does need defragmenting. you’ll see how fragmented each drive is, any drives that are above 3%, select them and click Optimize. 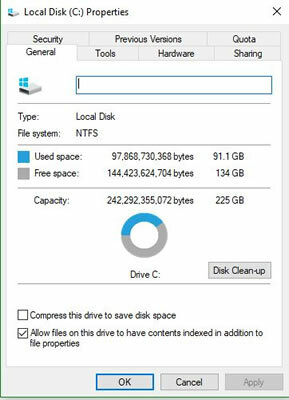 Worry about this, it’s a very small partition. If you run the maintenance routines regularly in conjunction with keeping your Anti-Virus and Spyware software up to date, you should experience far fewer PC problems.